On March 2, 1864, Ulysses S. Grant was promoted to Lieutenant General and was placed in command of all Union armies. From that time, Grant made his headquarters in the field with the Army of the Potomac, the Union’s largest army. A museum dedicated exclusively to aircraft used in the military. The Kirkland Monument remembers a selfless Civil War hero who braved the battlefield to give water to his dying enemies. At the conclusion of the Overland Campaign against the Confederate Army of Northern Virginia, commanded by Gen. Robert E. Lee, the Army of the Potomac laid siege to the city of Petersburg, Virginia. It was at that time that Grant decided to make his headquarters at the port town of City Point. 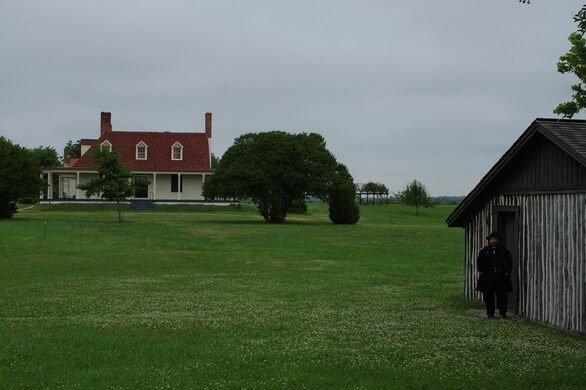 Situated at the confluence of the Appomattox and James Rivers, the Appomattox manor, owned by the family of Dr. Richard Eppes, was conveniently located near the landing at City Point. Grant made his headquarters on the lawn of the estate, where a number of cabins were built to accommodate the general and his staff. Over the course of his stay at City Point, Grant hosted a number of visiting dignitaries, including Secretary of State William Seward, Vice President Andrew Johnson, and even President Abraham Lincoln. 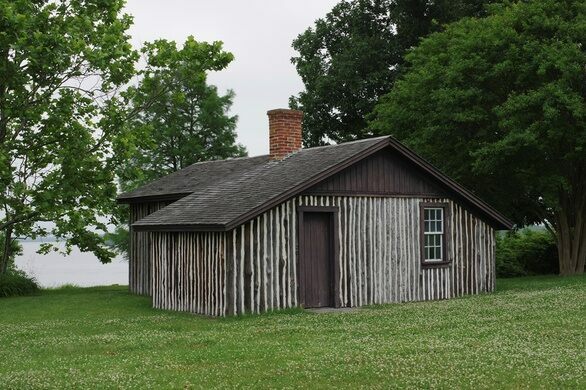 Grant's cabin and the Eppes estate is managed by the National Park Service and is open to the public. A home built with marble tombstones from the graves of 2,200 Union soldiers buried in a Virginia cemetery. A former Confederate hospital serves as a remembrance of wounded and dead Southern soldiers. The English Civil War began right here in 1642.